I’m not much of a baker or much of a cook and my only real food skills involve slapping together cheese platters and charcuterie. 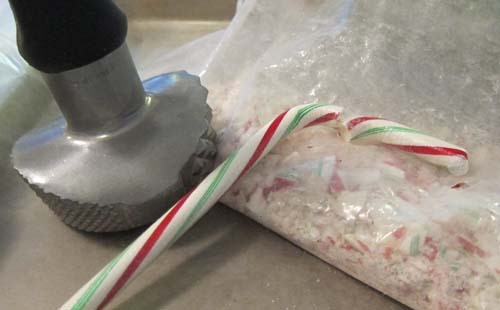 Step 1: Put a bunch of candy canes in a plastic ziplock bag and smash them to bits with a meat tenderizer. My father-in-law likes the pieces to be small. So I smash like mad. 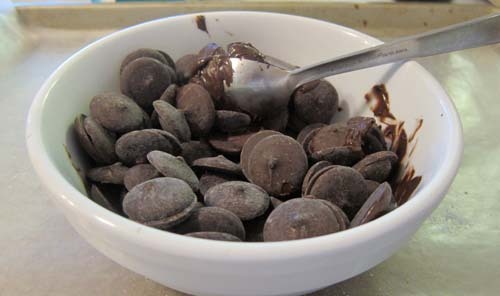 Once I’m done pulverizing the candy, I start in with the melting. I heat in 30-second increments until the melts get melty! 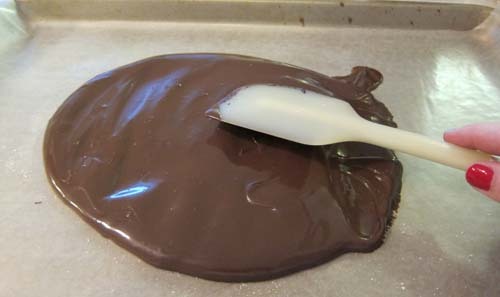 I pour the melted chocolate onto a cookie pan lined with either parchment or wax paper. I use a silicone spatula to spread it out toward the edges of the pan. I tap the pan on the counter to level out the chocolate. Then I leave it to set. 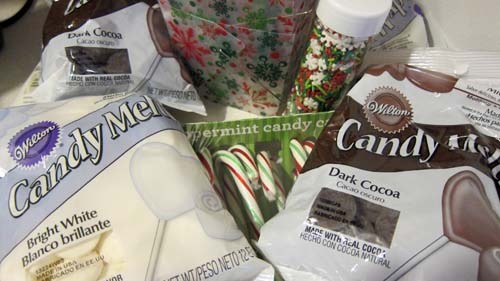 You’ll know the candy is set when it’s no longer shiny. Once it’s dry, I turn to the white candy melts. These take a little bit longer to melt, in my experience. 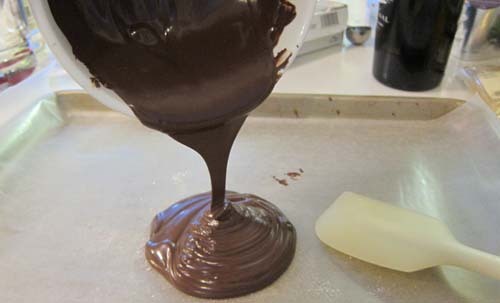 Once the white is melted, I pour it right onto the Dark Cocoa. 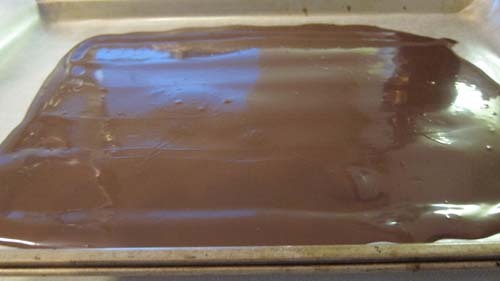 Using a spatula, I spread the white over the dark chocolate, leaving a little dark chocolate border. 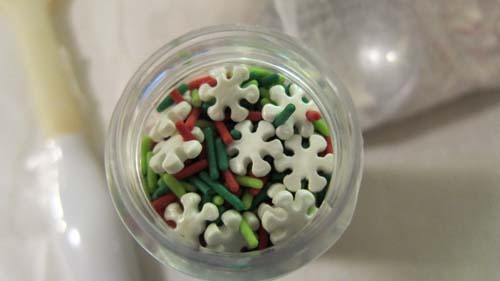 Next up: SPRINKLES. These are optional! But I like the texture and color they add. 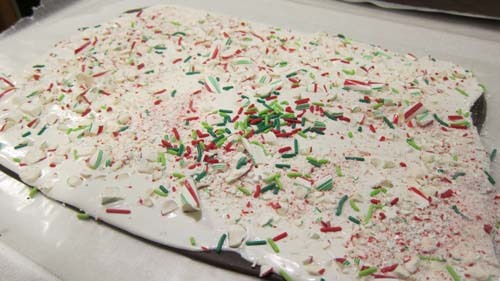 Immediately after I spread the white chocolate I tap the pan a couple of times and then add sprinkles. 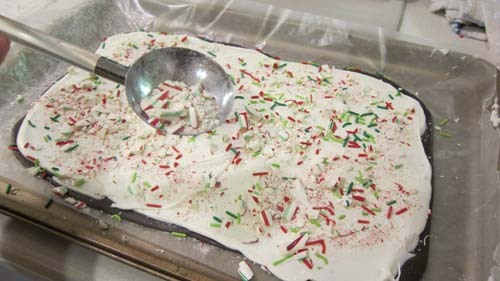 After the sprinkles, I take a big spoon and sprinkle the peppermint shards onto the still-wet white chocolate. Voila! 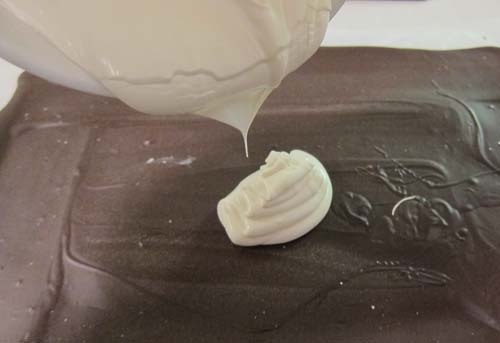 I also tap the pan a couple of times and use the back of the spoon to push down any pieces that look like they are not taking to the white chocolate. 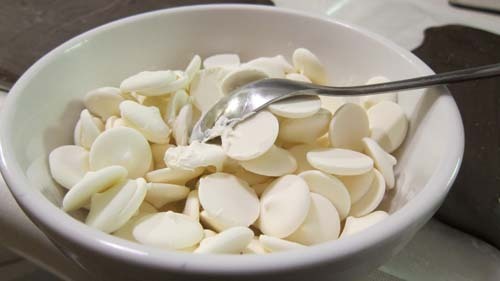 I let the white chocolate firm up a little and then use a pizza cutter to slice it into strips. Once it’s set, I put it in the containers. 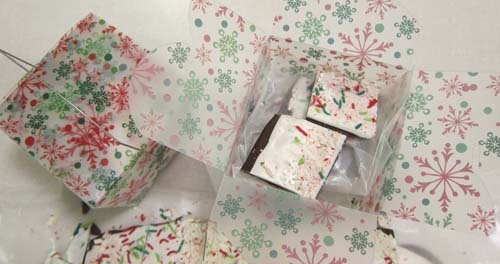 This year, I put the slices between wax paper and stacked them into a plastic holiday-themed take-out container. 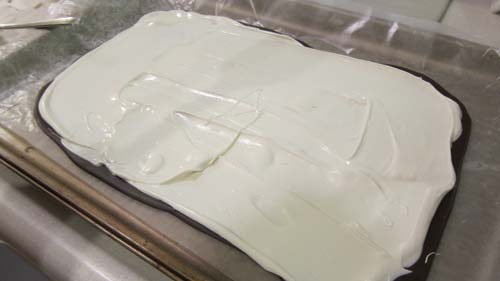 Because candy melts can go, well, melty, you need to have parchment or wax paper between the layers.